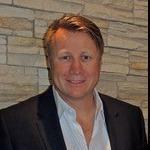 Steve is a Full Time Real Estate Professional serving clients in Calgary and surrounding area. A successful Business Owner with 23+ years of proven results, former In-House Announcer for the Calgary Flames for 13 Seasons (1999 - 2013) and credited performer in numerous stage plays, TV shows and movies, Steve now turns his full time focus to assist clients in achieving their Real Estate goals. "It doesn't matter if someone is buying their first condo at $200,000 or selling a 5 Million Dollar Acreage - I give all my clients the best service possible" Steve adds "Buying or Selling a home is a big deal. Huge deal. For most people it's their single greatest asset. That's a responsibility I do not take lightly. It's super important, and I approach it that way". After several years with a different Brokerage, Steve joined RE/MAX First in January of 2019. " RE/MAX is an incredibly strong brand and I and really proud to be on this world class team. We are recognized and respected around the world as Leaders in the Real Estate industry. That carries a lot of clout for all my clients regardless if they are on the selling side or buying side. I'm now able to combine my knowledge and experience in Real Estate with the power of the RE/MAX brand to serve my clients to the highest level." So serve my clients to the highest level."